Itâ€™s a Sunday night, like any other, and Iâ€™m opening the fridge at my grandparentsâ€™ home. On the fridge is a picture of my Uncle Francis and his wife, my Aunt Rita, with a child who looks just like both of them. My train of thought is interrupted by the musings of my cousin Allen, sitting at the kitchen table with the rest of the family. True, the time and money theyâ€™ve spent on the young girl in the photo, Jessica, may seem ridiculous to any 21 year old, both Allen and myself, without a job or major responsibilities, but for two adults who have been married for almost 20 years and do not have any children of their own, it is a small price to pay to have someone they met and immediately felt a connection to, become a part of their small family. My aunt and uncle first heard about Jessica in December 2008, when they were approached by a friend, Marco, who knew her and felt they would be great parents for a beautiful, then 4-year-old child. They had tried to adopt a child in the past. It ultimately fell through because the facilitator wanted something in return.Â Whether money or something more sinister, my aunt and uncle did not continue with the process and were subsequently apprehensive about adopting again. â€œNo, we like our lives and we donâ€™t have time to raise a child,â€ Uncle Francis responded to Marco. â€œWe were a bit selfish at the time,â€ Uncle Francis told me later. But Marco convinced them to meet with her. Uncle Francis and Aunt Rita went to the Dominican Republic on a Thursday in April of 2009, and by Sunday they came to a decision that they would begin the adoption process once again. Uncle Francis and Aunt Rita met in 1988. Aunt Rita who was born in the Dominican Republic, had been living in New York since 1969 when she met Uncle Francis, my motherâ€™s older brother, through one of his best friends. Married in 1991, their beautiful wedding photo takes me back to a time I remember only through my mom. Fast-forward to the 21st century: Their lovely home is adorned with markers of Dominican culture and Native American motifs, one of my uncleâ€™s many passions. It is a home filled with the love that two people have for each other, a love that they felt would flourish with the presence of a child. Growing up, my aunt and uncle were the â€œcoolâ€ ones. Theyâ€™d always take my cousins, Jasmine and Allen, and me to the movies and dinner. We were treated like their children for the day. When I was seven years old, Aunt Rita tried to teach me Spanish. Of course I was stubborn and didnâ€™t learn it until junior high school. In the summer of 2001, Aunt Rita and Uncle Francis, took all of us – Allen and Jasmine included – on a week long trip to the Dominican Republic. I look back on those years fondly, but as we got older, the dates were less frequent. We indulged in teenage freedom, and now college. We stopped calling each other. Looking back on the times in the late ’90s and ‘early 00s, my aunt and uncle had a lot of fun with my cousins and me.Â But the thought of having a child of their own was not feasible at the moment, with Aunt Rita owning her own business and Uncle Francis working for Hitachi full-time. Subconsciously, the absence of me and my cousins only increased their hope for a child, an idea that had always been in the back of their minds. Ultimately, when my uncle transitioned from Hitachi to his own business in 2008, the idea of adopting began to become more real. My aunt and uncle have tried for over three years to bring Jessica, now 7, from the Dominican Republic to the United States. Looking at the photo on the fridge, even I canâ€™t tell that she is not their biological child. She has my auntâ€™s smiling face and my uncleâ€™s skin tone. She likes to sing and dance, a star in the making. She doesnâ€™t like to play with black dolls, a fact my mother says, â€œhas screwed her up,â€ a reference to a feeling of self-hate that may become evident later in life. She likes the wind to flow through her hair and she already calls my grandparents, â€œabuelos.â€ She is a part of our family, although she has yet to meet most of us. It has been a trying time, filled with questions from family members about when can she finally come to the states. Six months has turned into twelve, which has turned into three years. My aunt and uncle have spent months at a time in the Dominican Republic to comply with adoption laws, but Jessica has yet to come to the states. Perhaps the process takes this long for most trans-national adoptions, but when there are scenes of celebrities adopting children with astounding speed, it creates cynicism. Aunt Rita and Uncle Francis have not fallen into this hole, but the uncertainty prolongs what my uncle and aunt believe fervently; that Jessica will bring with her unconditional love and happiness. 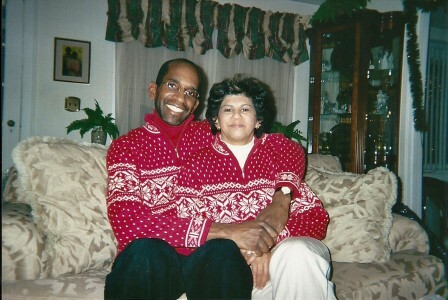 The experience of my aunt and uncle has taught me that love permeates barriers. The love for a child can come at unexpected times, and when it feels within grasp, it intensifies. For my aunt and uncle, no amount of time, energy or money has been wasted. These resources have gone towards the one thing that keeps most people grounded, humbled and loved: family.